I don’t know about you but I’m ready for fall. Well, maybe not the shorter days that come with fall. I am a daytime, warm, sunshine-loving kinda gal. But I’m definitely ready for fall flavors. I love those fall smells of apples, cinnamon and clove (and of course, pumpkin). If you hang out on Pinterest much, this season is usually referred to over there as the season of pumpkin-everything! So, true, right? It’s because pumpkin is good y’all! We get excited. Kinda like bacon. You just say the word and you have everybody’s attention! So when I saw my folks at Kroger putting out the cans of canned pumpkin pie filling this past week, I knew I had to figure out something to make with it. Of course, I coulda just made pumpkin pie, right? But ya know, my brain is always thinking of fun twists on classics that y’all might love too. And so, enter the Magic Pumpkin Cake, a.k.a., Pumpkin Layer Cake. 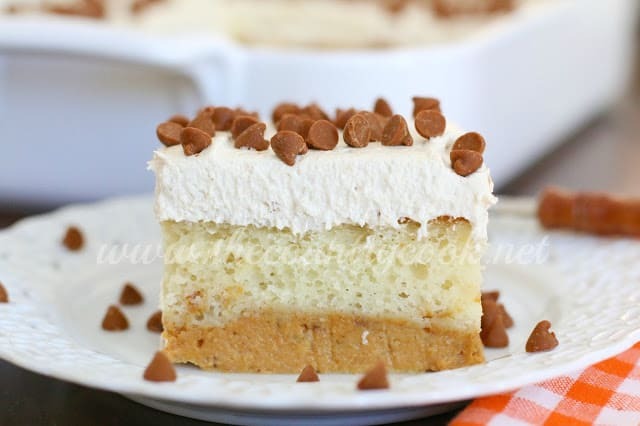 Layers of pumpkin pie, vanilla cake and pumpkin pie-spiced whipped topping. 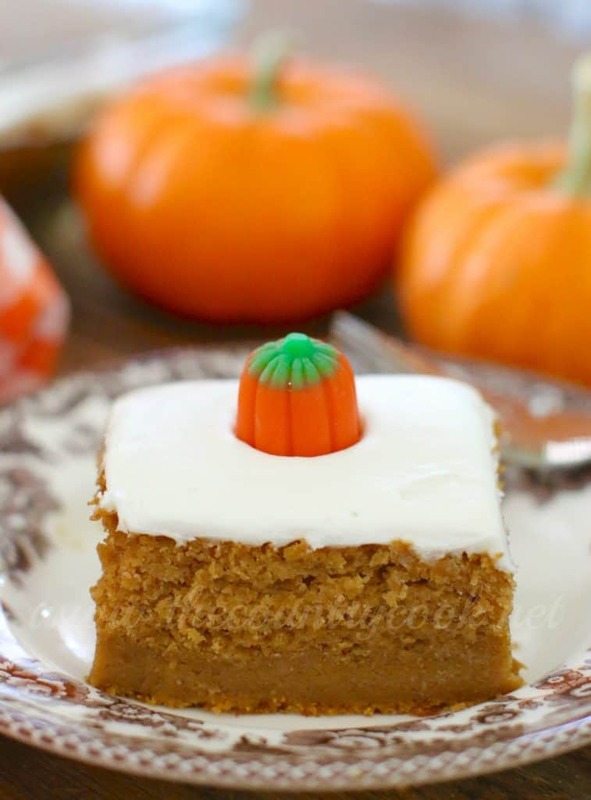 Hello sweet pumpkin cake! Where have you been all my life? Why is it magic? 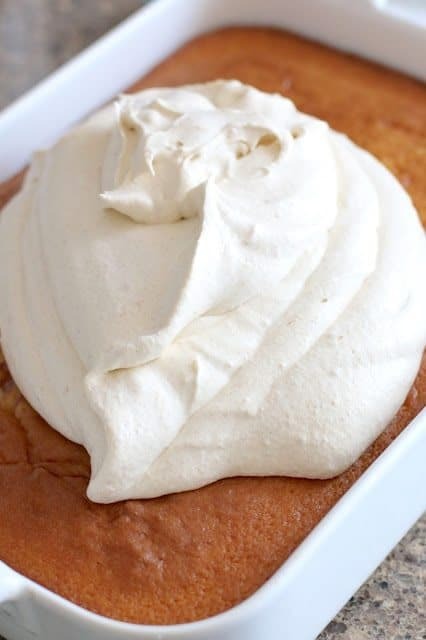 Well, because you actually pour the cake batter in first and the pumpkin pie filling in second – but after it bakes – the pumpkin layer ends up on bottom and the cake layer on top. 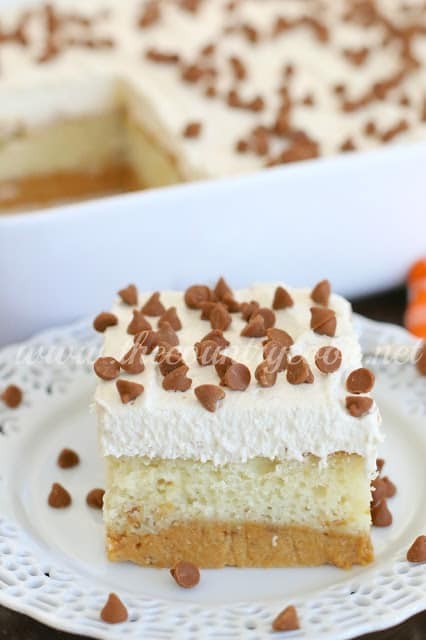 So obviously, no magic happpening here, it’s just because the pumpkin layer weighs more than the cake layer so it sinks to the bottom of the baking dish. But baking it this way allows everything to cook evenly without any layer being under-done or overcooked. Do yourself a flavor – make this! *Pumpkin Mix Note: We’re using pumpkin pie mix NOT canned pumpkin. 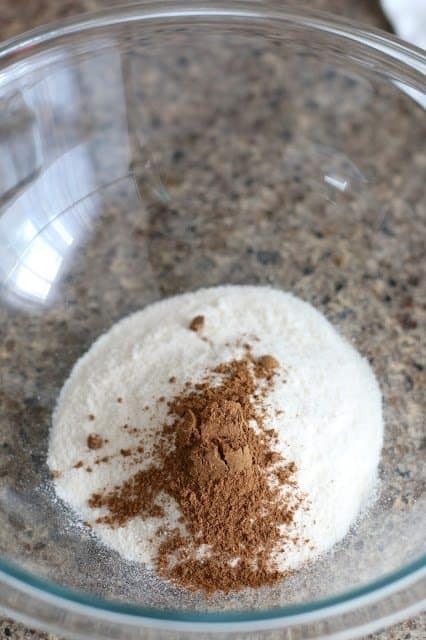 Pumpkin Pie Mix already has the pumpkin and seasoning and sugar added to it. 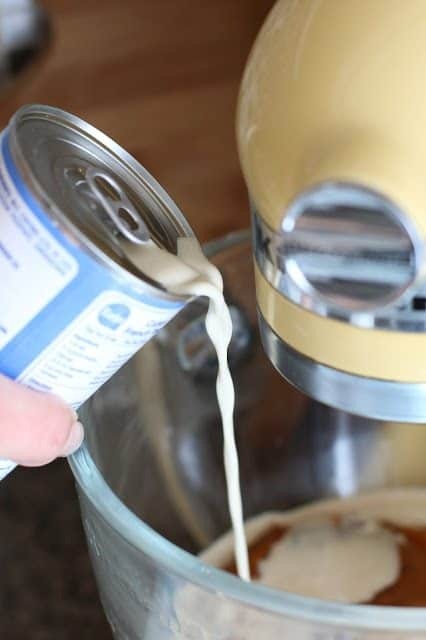 All you have to do is add the eggs and evaporated milk to it. I add additional pumpkin spice seasoning because we love it. Canned pumpkin is just plain pumpkin – we don’t want that here. Preheat oven to 350F degrees. Spray a 9×13 baking dish with non-stick cooking spray. Prepare cake mix according to package directions. 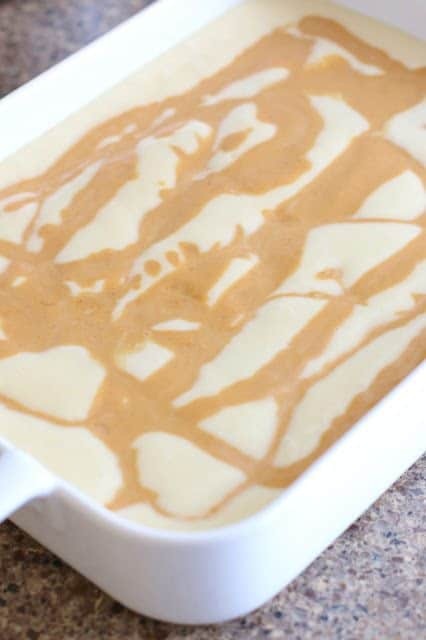 Pour cake batter into prepared baking dish (don’t bake yet!) 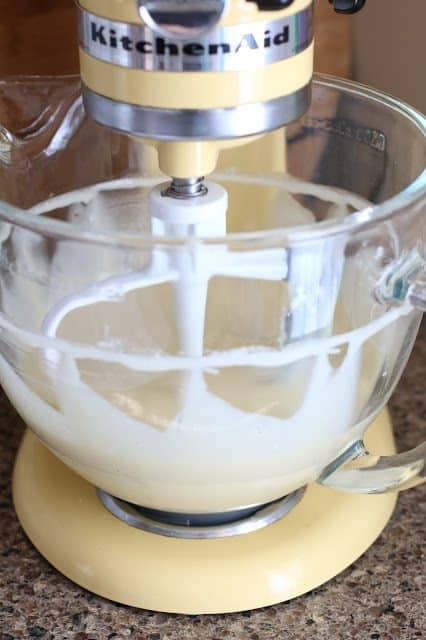 Keep the mixing bowl handy! Now prepare the pumpkin pie mix. 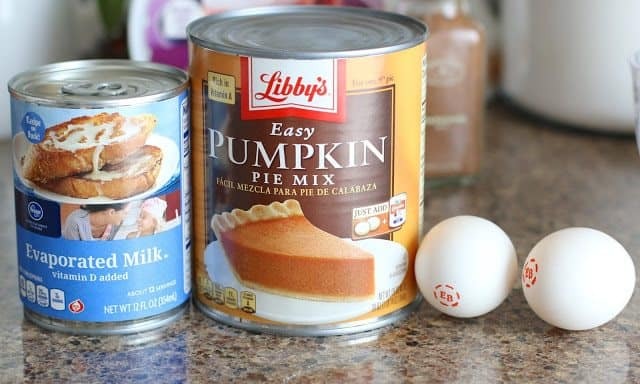 Combine contents of can of pumpkin pie mix with eggs, evaporated milk and one teaspoon pumpkin pie spice. Stir well. I just wipe out the same bowl I used for the cake batter and use that to mix the pumpkin pie filling. No need to make a bunch of dirty dishes! 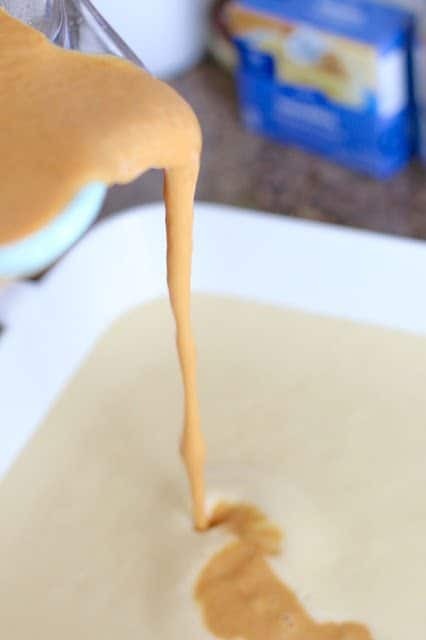 Now, slowly pour the pumpkin pie mix right onto the cake batter. Just pour it all over the entire cake. Then put in the oven and bake for about 50-60 minutes. The cake will look a little darker than what we’re used to. Don’t worry – it will be fine. And fear not – there will be layers under there! Allow cake to cool completely – at least a couple of hours. 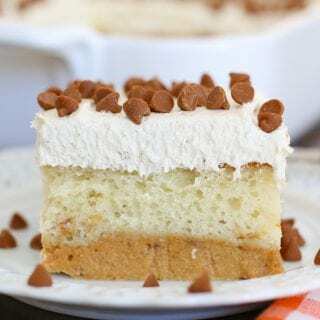 Once cake is cooled, begin making topping. Combine package of instant pudding with teaspoon pumpkin pie spice. Then pour in cold milk. 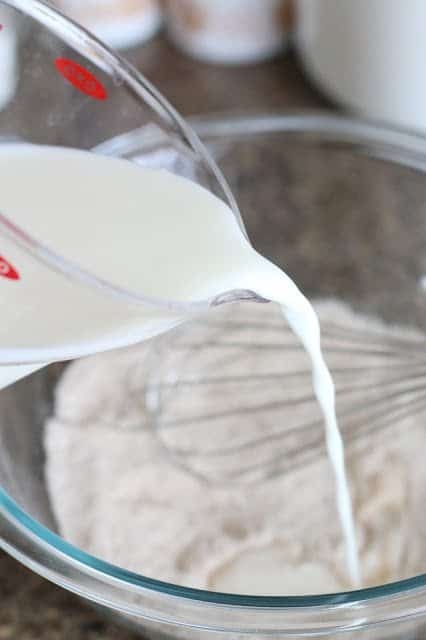 Whisk mixture until pudding begins to thicken. Then gently fold in whipped topping. Then spread topping onto cooled cake. You can serve it immediately but I would recommend popping it in the fridge for at least an hour. This will help the topping setup a bit more and make it easier to slice (but it’s not absolutely necessary). I added some mini cinnamon chips on top just to make it look pretty. Cook’s notes: Keep refrigerated if not eating immediately. In addition, refrigerate any leftovers. Spray a 9 x13 baking dish with non-stick cooking spray. 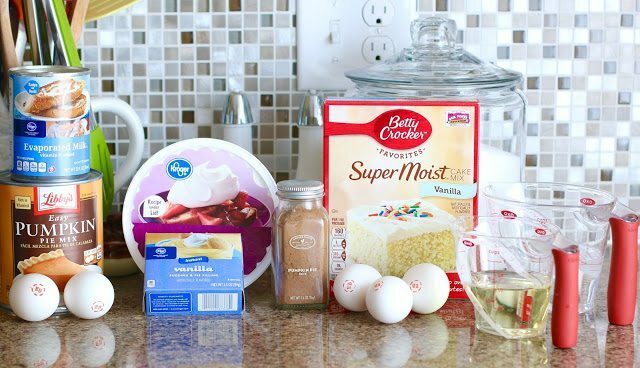 Prepare cake mix according to package directions (using eggs, oil & water). Combine contents of can of pumpkin pie mix with eggs and evaporated milk and one teaspoon pumpkin pie spice. 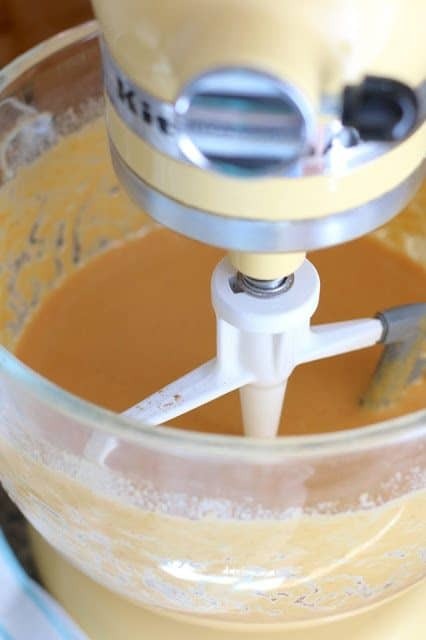 Slowly pour the pumpkin pie mix right onto the cake batter (over the entire cake). 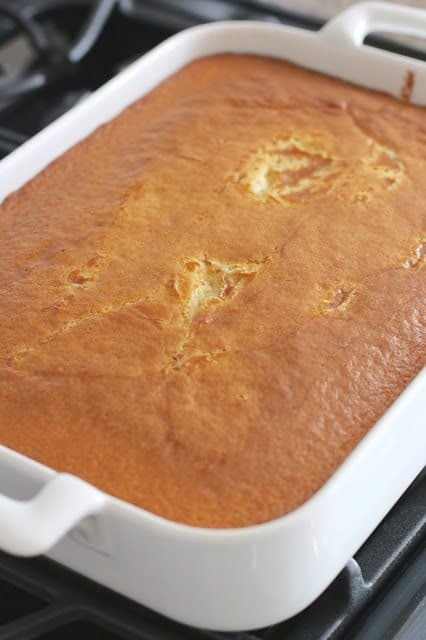 Allow cake to cool completely - at least a couple of hours. 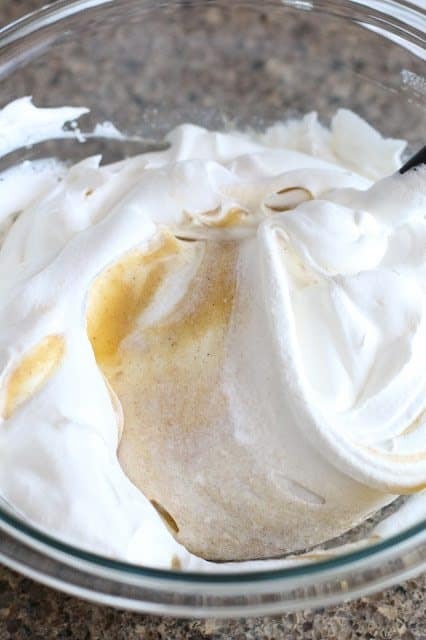 Then gently fold whipped topping into the pudding. 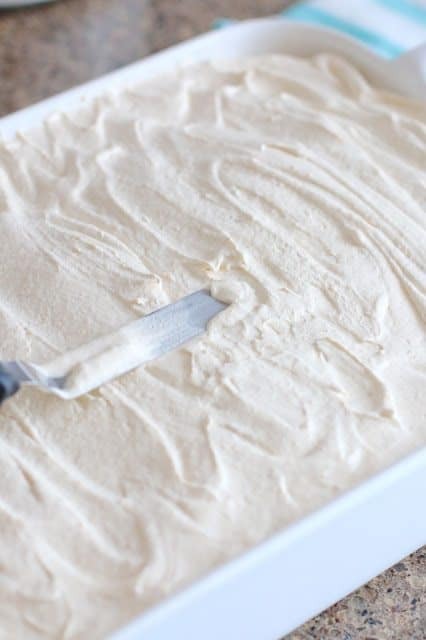 Spread topping onto cooled cake. Optional: Sprinkle some mini cinnamon chips on top of finished cake. Keep refrigerated if not eating immediately. You can serve it immediately but I would recommend popping it in the fridge for at least an hour. 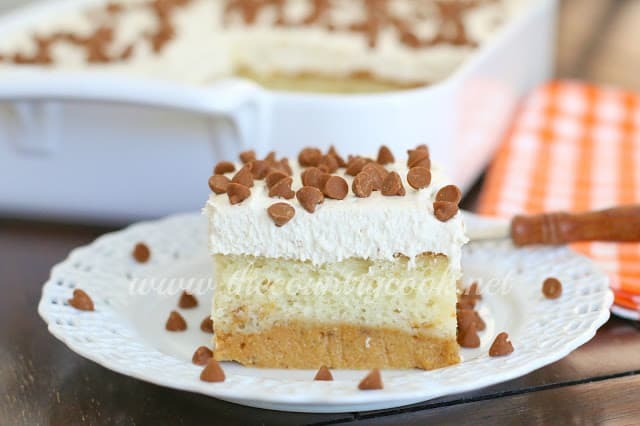 I did a Google search on the fly in the grocery store last night for a simple cake mix Blondie reciepe. I decided to try your Maple Butter Blondie reciepe and I am happy to report that my gang of desert snobs loved it! This was so much quicker than making everything from scratch and easier! 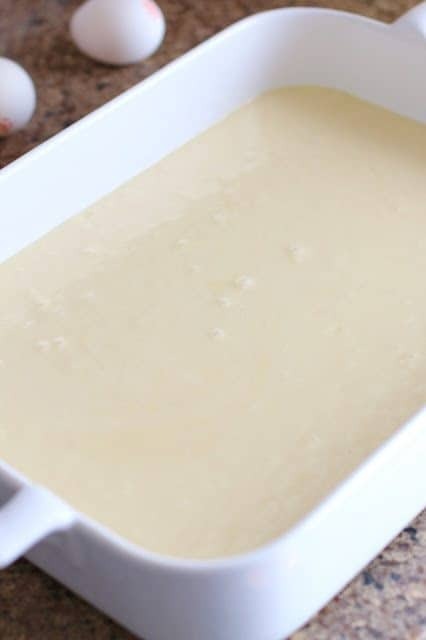 I did tweak the sauce just a touch by adding 1/4 tsp of maple extract and 1/2 tsp of Brazilian Vanilla extract just to cover the evaporated milks flavor a bit. Thanks! It was great! 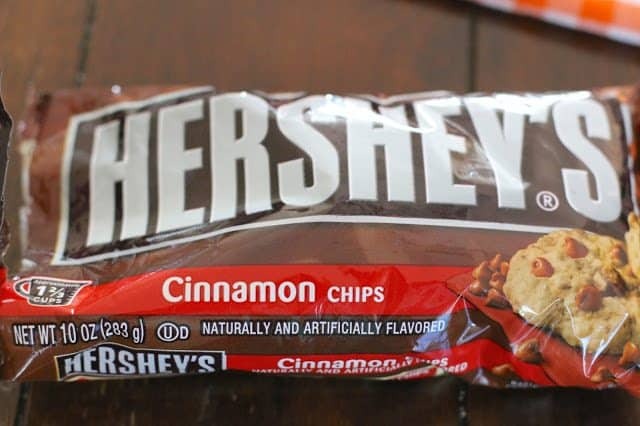 Would this work making it into the large muffins? It looks yummy! I was going to say could I use pumpkin purée, instead of pumpkin pie filling? 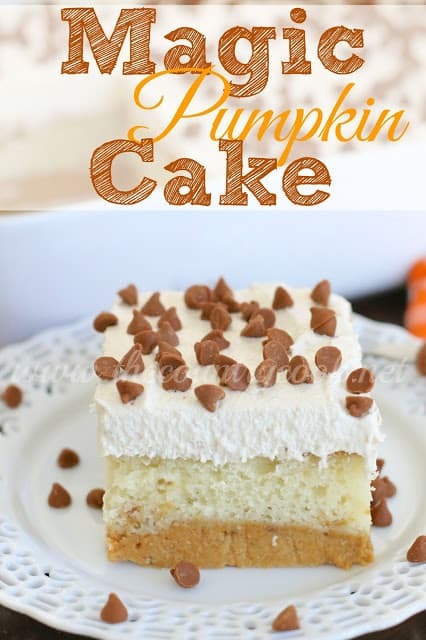 Oh My Gosh, this cake sounds Awesomely Amazing , one problem for me down here in Australia we don’t have pumpkin of any kind in a can. 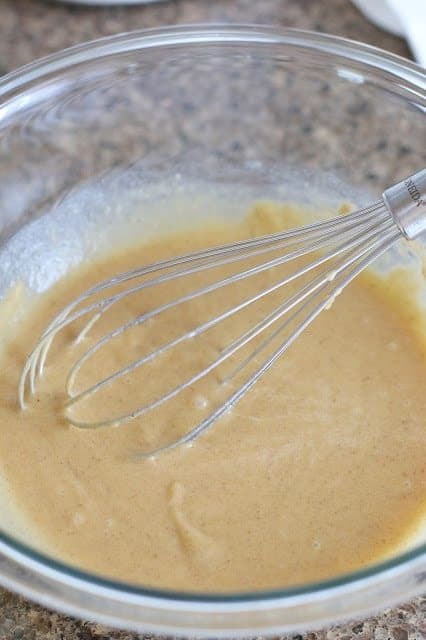 Could you tell me what pumpkin pie filling has in it and I can hopefully make it , Thankyou Brandie…..